Transplant diagnostics is a medical sector that has grown at a rapid pace in the last few years as a result of the rising use of transplant operations for a variety of body parts. Transplants of organs have been the conventional limit of the transplant sector, but research in cytology and hematology has now led to a situation where blood and even disparate components of blood, as well as stem cells, can be transplanted safely. The need to acquire increasing information about the various complications that can arise following a transplant procedure has led to steady growth of the transplant diagnostics sector and is likely to ensure consistent prospects for the transplant diagnostics market in the coming years. Rising government support in an increasing number of countries for organ and blood donation is likely to remain a key driver for the global transplant diagnostics market in the coming years. Recognizing the benefits of adopting organ donation practices on a large scale, several emerging countries have taken a proactive stance towards the development of the infrastructure required to sustain countrywide medical repository networks. This could be a major development for the global transplant diagnostics market, as considerable investment is required for operating a stable transplant diagnostics sector. Developed regions such as North America and Western Europe, naturally, also witness strong government support to the medical sector, but the high volume of unmet demand in developing countries is likely to provide significant thrust to the global transplant diagnostics market. The rising investment in the medical sector from the private sector is also vital for the global transplant diagnostics market, as advanced medical fields such as transplant diagnostics are likely to receive significant investment in the coming years and require steady funding before an economy of scale can be established. There has been a significant rise in the global figures of transplant operations undertaken over the past few years. Ranging from transplant of organs to stem cells and tissues, these surging numbers of transplant procedures have highlighted the need to effectively handle the multiple complications that arise post these operations as a part of body’s autoimmune response to a foreign object/entity/matter. Chances of rejection of the transplant; several infections resulting from the intake of immunosuppressant medicines, and a host of other complications that are often encountered post transplants require effective ways of diagnosing the beginning of these complications to initiate proper treatment. Research efforts motivated by the rising number of patients in this area has led to the development of a vast array of diagnostic technologies, products enabling diagnosis, and services specifically designed to serve patients who have undergone transplant of some kind. 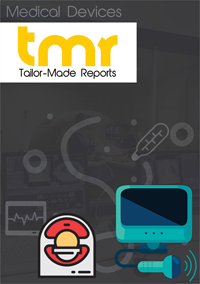 This report on the global transplant diagnostics market presents to the reader a comprehensive account of the present state of the market, recent technological advancements, innovative products to have entered the global market, and an analysis of the key factors expected to have a notable impact on market’s overall development in the near future. The report gives an analytical account of notable trends of the past and present times, growth drivers, challenges, regulatory aspects that need to be considered to market products across key regional markets, and competitive landscape. The vast rise in transplant procedures across the globe, entry of an increasing number of companies in the transplant diagnostics field, and rising funds diverted towards R&D activities to develop diagnostics tests that enable early and cost-effective detection of post-transplant complications are some of the key factors driving the global transplant diagnostics market. Increasing availability of technologically advanced and clinically proven next-generation diagnostic systems are also leading to the increased adoption of transplant diagnostic systems globally. Despite the excellent growth opportunities, the market’s growth is restrained to a certain extent owing to factors such as the costly transplant procedures, limited or no reimbursement for these procedures, the high rate of rejection of transplants, and the collective impact of these factors on public sentiments, leading to reluctance towards transplant procedures. These factors, along with the lack of organ donors, play a key role in restricting the number of transplant procedures undertaken, especially across developing economies. The report states that the market for transplant diagnostics is expected to gain the most promising returns from emerging markets such as Asia Pacific and Latin America in the next few years. A vast rise in the prevalence of several chronic diseases and the resultant rise in transplant procedures, coupled with the availability of vast untapped growth opportunities in these regions will attract a large number of companies in the next few years. Matured markets such as Europe and North America will mostly emerge as the hubs of research and development, with the high number of transplant procedures allowing sustainable returns. Nevertheless, rising investments in the healthcare industry, availability of cheap resources, and thriving medical tourism industries will make emerging economies the places to be for companies in the transplant diagnostics market. Some of the key vendors operating in the highly dynamic and competitive transplant therapeutics market are F. Hoffman-La Roche Ltd., Thermo Fisher Scientific, Inc., bioMérieux S.A., Becton Dickinson and Company, Bio-Rad Laboratories, Inc., and GenDx, Illumina, Inc., and Immucor, Inc.